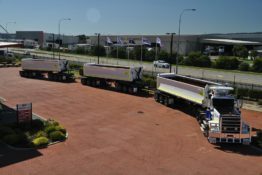 Boomerang Engineering builds a large number of different combination side tipping trailers in Australia that will meet your transport needs. 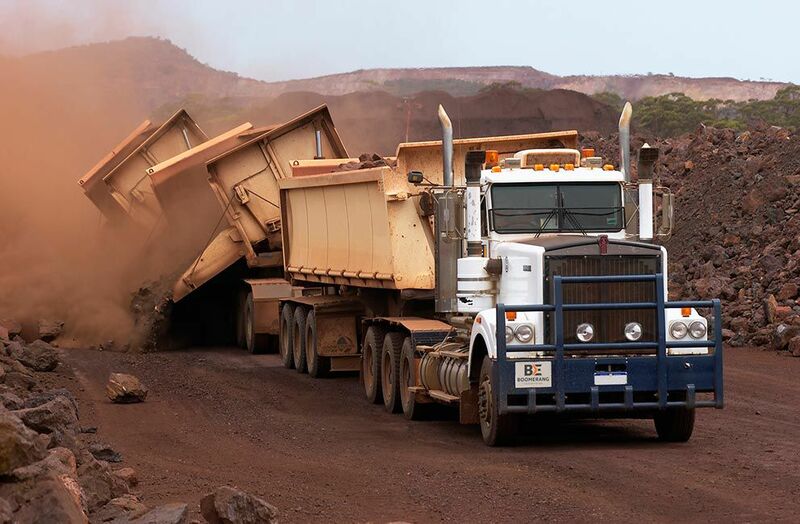 The majority of our side tipping trailers are used in the mining industry, hauling ore to crushing plants and stockpiles. 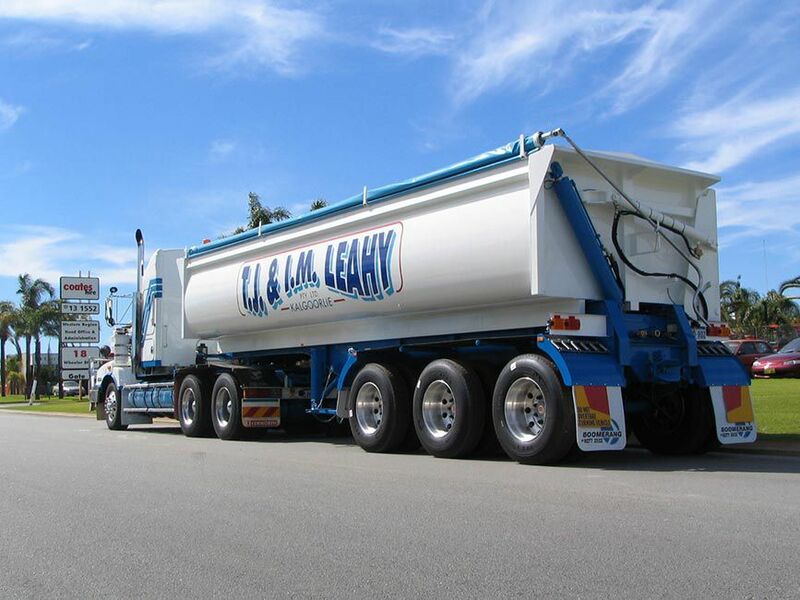 What makes us the leaders in side tipping trailer manufacturers? We have developed our own side door opening mechanism, which allows the door of the trailer to be fully opened before the body reaches a 5° tipping angle. 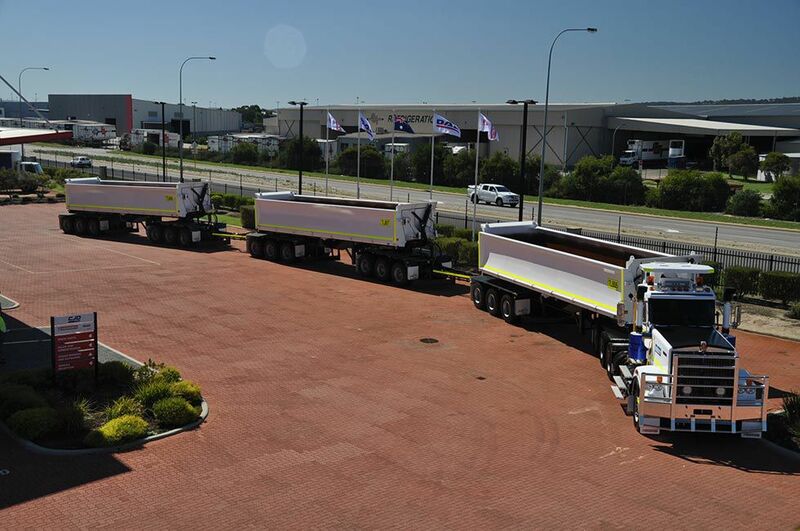 Our side tipping trailers are also exported overseas to many locations like Christmas Island and Indonesia. 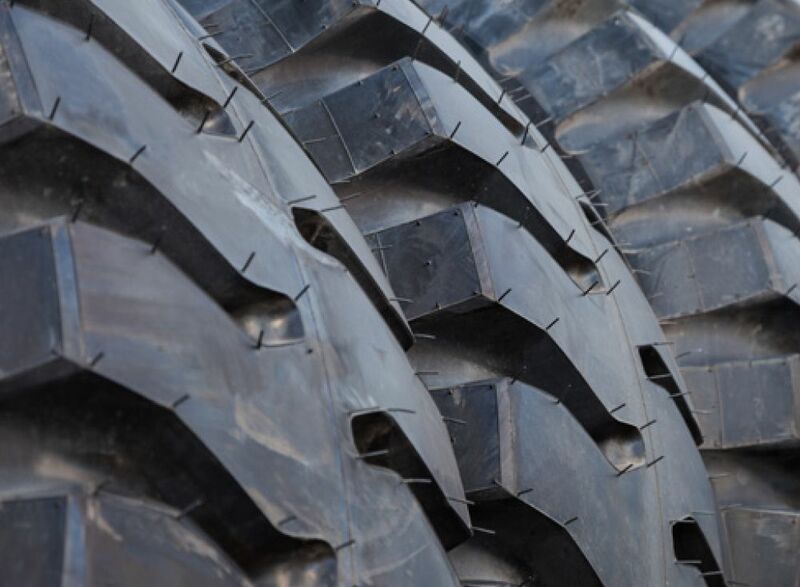 They are used in the coal and phosphate mining, where they have improved productivity against the conventional end tippers. 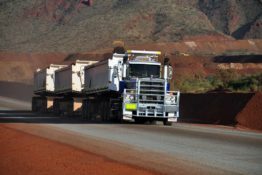 Boomerang Engineering builds one of the biggest side tippers in the southern hemisphere, which has a load capacity of 120 tonnes. 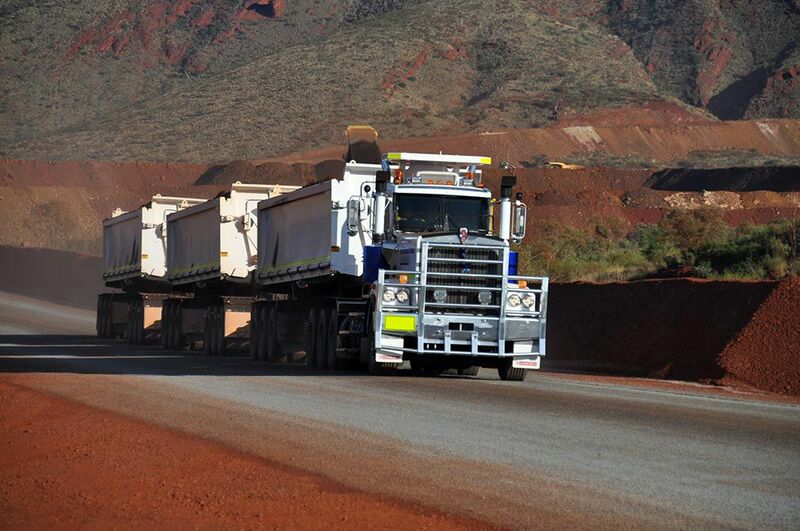 These trailers are pulled by one of two types of trucks, Mack Big Foot or Challenger. 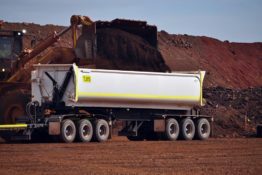 The two trailers are able to have a total load mass of 220 tonnes with the truck able to reach speeds of 60 km per/hour. 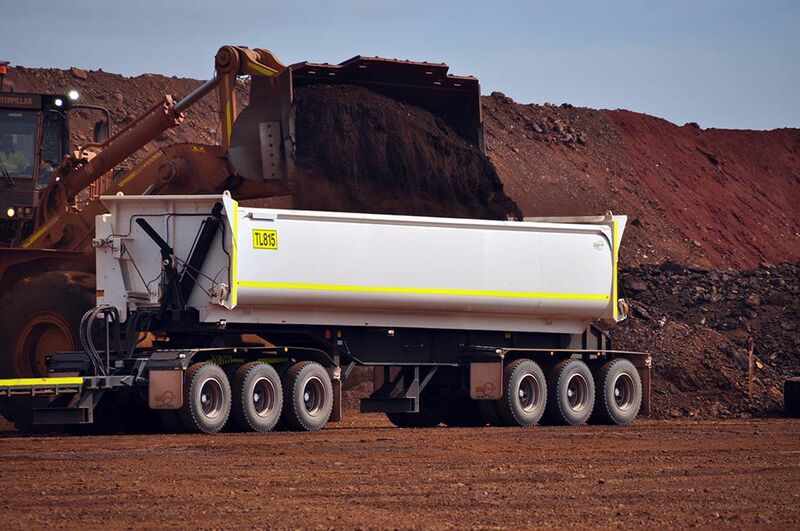 We are constantly developing ways to evolve our side tipper trailer. 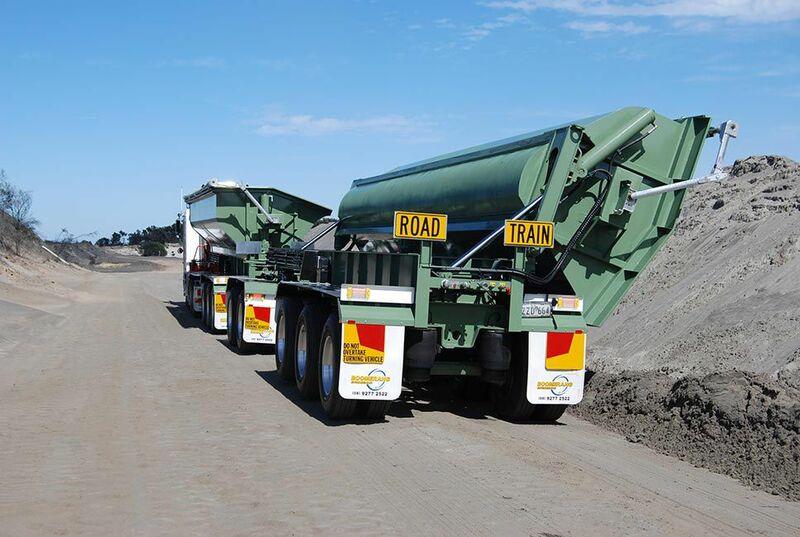 We have a trailer that can move 100 tonnes of salt over very dusty conditions without contaminating the product. The trailer was designed with a special type of door seal and a hydraulic opening lid, which consists of a steel frame covered with a plastic tarp. The lid opens to a vertical position when loading. The trailer is coated inside and out with a two pack epoxy salt-resistant paint, which protects the salt from contamination from the metal of the body. If you’re looking for high-quality tipping trailers in Australia, we’re the ones to visit. Our friendly staff will always be ready to help you. Contact our purchasing officer and buy your side tipping trailer today.